Why Brixton? Just south of the city and in Zone 2 at the end of the Victoria line, the popularity of the postcode areas SW2 and SW9, which fall under Lambeth Local Authority, is increasing. Young professionals attracted by Brixton’s ever-vibrant nightlife and families, who value the area’s Ofsted ranked schools and fantastic transport links, are turning to Brixton estate agents Eden Harper to help them set up home in the area because it offers an abundance of affordable properties. Brixton was a wealthy suburb until the beginning of the 20th century, which is why the area has a large number of large, period properties that are comparable to those found in upmarket Clapham, just a short stroll from Brixton. Many of these have now been converted into flats and sit comfortably with the new-build apartments that have appeared in recent years. Modern-day Brixton is also home to several big housing estates, which offer first-time buyers a wide choice of affordable ex-local authority homes that are invariably a lot larger than more modern developments. One of the great attractions of Brixton is the fact it’s on the Tube network. Brixton is at the southern end of the Victoria line, meaning morning commuters have a good chance of finding a seat for the 10-minute journey into London’s West End, while the nearby Tube station at Stockwell gives access to the Northern Line. Brixton also has an overground station on Atlantic Road, just two minutes from the Tube station, that whisks commuters into Victoria Station in a mere seven minutes. And nearby Loughborough Junction station provides access to Farringdon and St Pancras. Bus links are good, too. Brixton is served 24 hours a day by a wide selection of bus/night buses, with all the major routes passing outside the Tube station. Many young people are attracted to Brixton by its bustling high street, unique mix of market stalls and specialist stores built around the various ethnic communities of the area and major music venues that contribute to the area’s lively nightlife. The best regarded primary schools in the area are St Jude’s C of E in Regent Road, Stockwell in Stockwell Road, Sudbourne in Hayter Road and Corpus Christi in Trent Road. Secondary schools that have received Ofsted’s backing include the Charter School, Sacred Heart RC, Stockwell Park and St Martin-in-the-Fields, while Lambeth College provides education for the over 16s. Education fact: Evelyn Grace Academy, designed by architect Zaha Hadid, won the Royal Institute of British Architects Stirling prize. The school, in Shakespeare Road, is rated good by Ofsted. Crime figures remain low. Of the 54,000-plus offences reported to the Metropolitan Police in April 2014, just 206 took place in Brixton. 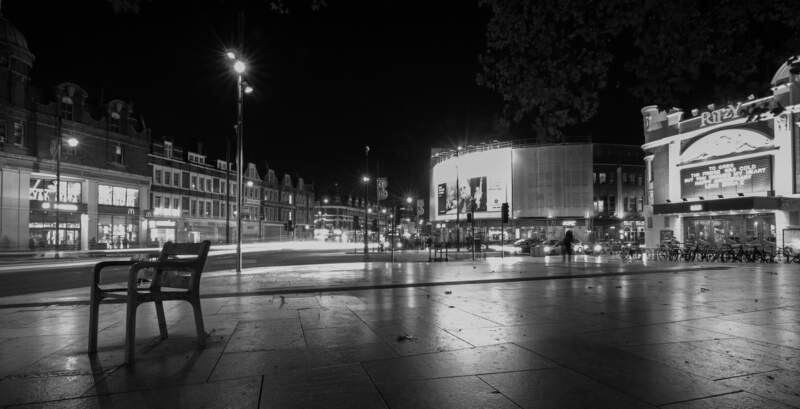 Many put this down to Brixton’s vibrant nightlife, which means the area is always busy, even in the small hours of the morning, which makes it safer than many other areas of the capital. Brixton’s eclectic mix of pubs, clubs, restaurants and live venues the O2 Academy Brixton and Hootananny make it a go-to destination for anyone seeking after dark entertainment. The restaurants that line Brixton’s busy streets serve a multicultural mix of recipes that not only come from the area’s large Afro Caribbean community, which settled in Brixton in the 1940s, but also reflect the fact that residents from all other corners of the world, including Vietnam, China and the Middle East, can also lay claim to SW2 and SW9. At least nine cinemas opened in the Brixton area between 1910 and 1915, although just one remains. While the Ritzy cinema, which hosts a popular café, continues to attract a night-time crowd, Brixton’s biggest after hours draw is the DJ and dance scene, which is served by Plan B in Brixton Road, Jamm in Brixton Road, the Electric Social, in what used to be the Fridge nightclub, and Dogstar on Coldharbour Lane. The streets of Brixton also host a cultural explosion known as the Splash festival on the first Sunday of August every year when a wealth of local up and coming talent take over the pop-up stages and celebrate the independence of Jamaica. Brixton Splash is a free community street festival led by the local community. The event was established to celebrate the area’s diversity, its progress through the years and the fusion of the numerous ethnic groups that now call Brixton home. While Splash is a celebration of Brixton’s contribution to the wider London culture, the area has also made a name for itself as a foodie venue. The area not only hosts a farmers’ market but one of London’s most vibrant Caribbean markets. It earned its foodie tag because the part of the market now known as Brixton Village (but which locals will always know as Granville Arcade) between Coldharbour Lane and Atlantic Road offers an incredible selection of edible delights, many made with locally sourced ingredients. Other daytime attractions in Brixton include a well-designed, refurbished town square, a wide selection of quirky shops and specialist stores built around the various ethnic communities of the area and, of course, a windmill. The notes are available in B£1, B£5, B£10 and B£20 denominations and depict local celebrities and famous people from Brixton, such as David Bowie. The scheme’s aim is boost the local economy and celebrate Brixton’s history of strong community spirit. The plan is certainly working because, in September 2011, the electronic B£ pay-by-text platform was launched. Around 250 businesses now accept paper B£ and over 160 have pay-by-text accounts. Brockwell Hall and the Brockwell Lido can be found at Brockwell Park between Brixton and Herne Hill. This green space not only contains ornamental ponds, formal flower beds, a walled flower garden and a 19th century clock tower, it also plays host to the annual Lambeth Country Show. 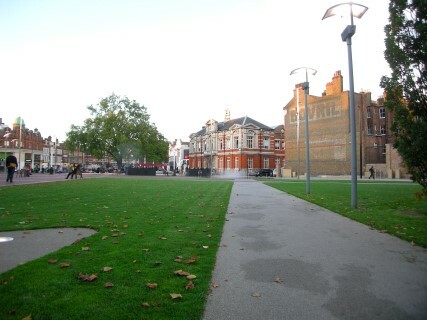 Myatt’s Fields Park is one of two open spaces in the area to win a Green Flag Award. The other is Ruskin Park, a large and popular Edwardian green space between Camberwell, Brixton and Herne Hill that was named after Victoria writer John Ruskin. For those seeking indoor exercise, Brixton Recreation Centre has recently benefited from a number of refurbishments. Adults now have a state-of-the-art gym and fitness studios, while under 16s have a specialist children’s gym, interactive dance mats, 3G football pitch, interactive studio and climbing wall. Former Prime Minister John Major spent part of his childhood in a two-room flat off Coldharbour Lane. Brixton’s Tate Library was one of the first free public libraries in London. Built in 1893, it was a gift of Sir Henry Tate. Brixton is home to The Nuclear Dawn. Known as the ‘one with the skeleton in it’, the mural is one of many hidden away on the walls of the area. Most were created after the riots of 1981 and can be found within walking distance of each other. Built in the 1880s, Electric Avenue was the first market street to be lit by electricity. The road gave its name to Eddy Grant’s 1983 single Electric Avenue. Deep beneath Brixton’s streets runs the lost River Effra. It is said that Queen Elizabeth I sailed down the Effra in her royal barge to visit Sir Walter Raleigh at his Brixton home.